History Schmistory: March 22. Hey! This doesn’t work on my Kindle! 1457. 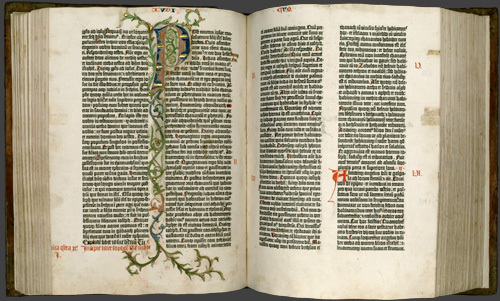 The Gutenberg Bible became the 1st printed book. Previous History Schmistory, March 21. Francophile joins the Cabinet Next History Schmistory, March 23: B & F become BFFs!